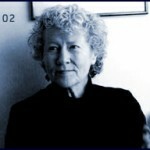 Valentine won her first poetry award in 1965 for her first book, Dream Barker. In 2004, she won the National Book Award for her poetry collection, Door In The Mountain. 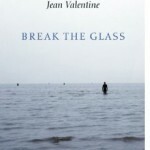 Break the Glass is her eleventh book of poetry. For those of our listeners who are in the western Massachusetts area, Jean Valentine will read from her work on Monday, March 7, at 8 p.m., at Amherst College. Jean Valentine’s poem about Paul Farmer is Who Watches . Here’s a 2010 WV interview with author Tracy Kidder about his 2003 book, Mountains Beyond Mountains. It’s about Paul Farmer’s work in Haiti and the organization he founded, Partners in Health. The interview with Kidder first aired in February 2010.